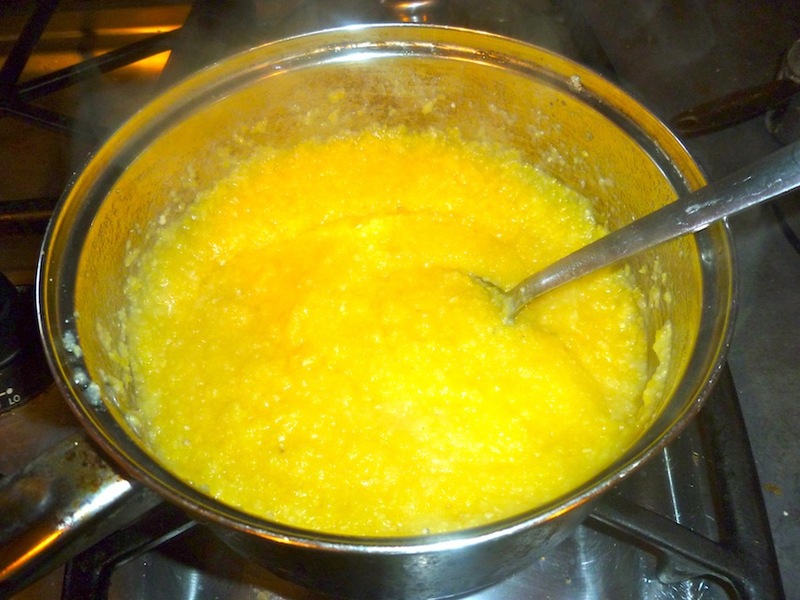 I served polenta last night, a quick Italian dish made of corn meal. It’s delicious and can be prepared in infinite ways. Most importantly, it’s quick and cheap. We all love it–except my pickiest eater. He always claimed to “hate” polenta. Until yesterday evening. Guess what? Peer pressure works. He tried it and he liked it. So often, I hear kids and adults (!) make fun of food. Salad is for rabbits. Fish is for “wimps.” Tofu is disgusting. Other kids I know refuse to eat any vegetables and even some won’t eat fruit. Picky eating is a normal part of childhood. Our reaction, though, to encourage a life-long love of healthy food has to be that trying new food is even more normal. In our house, if a kid refuses to try a new food or dislikes something delicious, our oldest, Rachel, will let him know he’s weird. She’ll pick on him until he can’t do anything but try the food. And sometimes, he’ll like it. Turn oven on 450 degrees. Bring water and milk to a boil. Add 2 teaspoons of salt. Gradually whisk in the cornmeal. Reduce the heat to low and cook until the mixture thickens and the cornmeal is tender, stirring often, for about 15 minutes. Turn off the heat. Add the butter and stir until melted. You can eat it now, but it’s a lot better roasted as well. 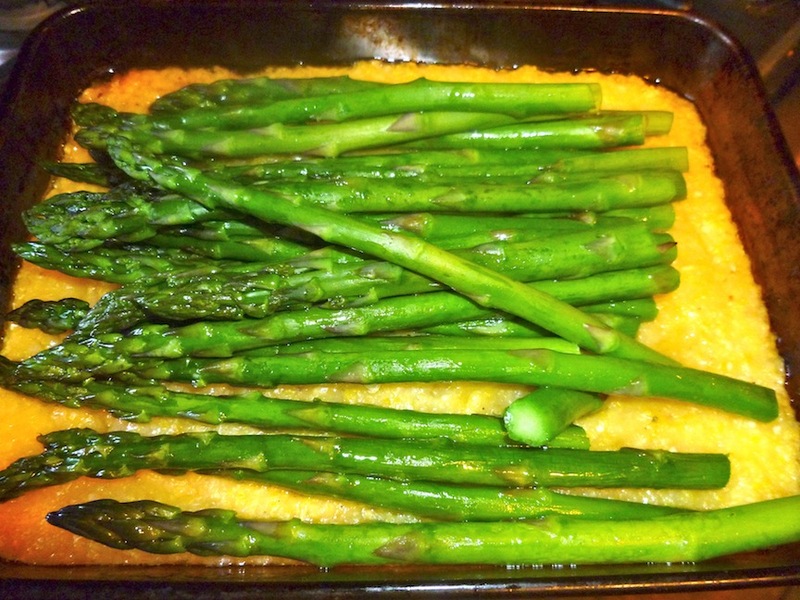 To roast, spread the cornmeal out in a buttered pan. Drizzle some olive oil on top. Add the veggies and drizzle again with olive oil and sprinkle with salt. You can top it with cheese as well. Roast for 25 minutes.